The UK has an abundance of scooters in the 125cc category, though the scene here isn’t as vibrant as other European countries – nonetheless there is a huge amount of choice if you’re looking to spend your pennies on a new scoot. We've put together a top 10 to help you make your choice! Whether it's style you're going for, or simply the ease of use a scooter can offer you for local commutes - you’re much more likely to see 125cc scooters in inner cities and towns across the UK than in the countryside. Due to this a majority of the most popular 125cc scooters end up being commuters and workhorses, rather than elegant and stylish modes of transport – but with that being said there is plenty of good-looking scooters on this list! Just about finding its way on to our list is the Sinnis Shuttle 125. This is the type of scooter that will aspire to provide you with comfort, storage and economy at a budget. The Shuttle doesn’t disappoint for a commuter-scooter, although at the same time doesn’t exactly blow you away. Then again , at an incredible price of £1400, can you really be disappointed? This scooter is a prime example of the type of vehicle people will steer towards if they're looking for a cheap runner to get them around. The self-proclaimed big brother to the rest of the Jet family, the Sym Jet 14 has sold well in 2018 to find itself on our list here. With strong build quality, decent stability provided by the big 14” wheels, LED lights and spacious storage - the Sym proves to be a great commuter at a respectable price of around £2150. Cheap and cheerful, the Titan 125 has sold quite well in 2018 to make it on to this list. Euro 4 compliant (so combined braking system and EFI for efficiency), LED lights, front and rear disc brakes and decent under-seat storage all tally up to provide you with a more than adequate commuter. The biggest selling point is the price, expect to pay around £1300. Lexmoto are becoming well known for their reliable scooters & motorcycles, and brand new they also come with a 2 year warranty - well worth considering if looking for a great runner at an incredible price. The Modena wouldn’t look out of place on classic scooter rallies with its classic Italian styling, though the purist scooter fans might not be so keen… either way the style is likely the reason this scooter sold so well throughout 2018! There are so many colour options, that when paired with your choice of accessories you’re left with quite a unique scooter – exactly what the mods of old will be looking for. As always you get all the required Euro 4 features, meaning an efficient and easy to ride scooter (especially because it’s so light) – prices start at about £1650. Peugeot hit the nail on the head with their Speedfight 4 range, it’s a great looking scooter with all of the features you’d ever want - so much so that every young biker probably has one at the top of their wish list at 17 years old. An interesting feature with the Speedfight scooters is their option of the liquid cooled engine, a rarity on the market (especially for a 125cc scooter) – pushing their top speed to the 60mph mark. Expect to pay a premium though, £2600 to get one on the road. 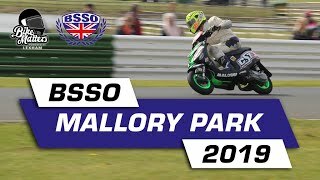 Surprised to see a Piaggio scooter on this list? Well you shouldn’t be! Piaggio have been on the scooter scene for the longest time out of all scooters still available today, and are still producing the pinnacle of city scooters to this day. The Liberty comes with ABS, their innovative iGet engine and great overall efficiency. Another important note is the large 14 and 16 inch wheels to provide superb stability on the road. Price is one drawback, but then again for what you get some would argue the £2750 is well worth it for the prestige of that Piaggio badge. The Royal Alloy has only been on the scene for a short time now, but they are already making their mark for new scooters on the UK roads. Pricing their scooters competitively to fit in the mid range, Royal Alloy have been able to target the retro scooter lovers with their 125cc GT range – you can get one for £2500. 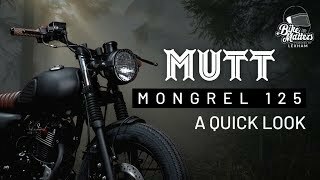 Their scooters hit the mark with a lot of classic scooter lovers due to their classic style, great customisation options and competitive pricing. No doubt they will be on the scooter scene for some time to come. Billed simply as a scooter designed specifically for the urban commuter, the Agility City offers everything you’d expect in a perfect city runabout – great economy, LED lights and most importantly a comfy seat! It’s also nice and light (hence the name), and top speed is noted as 65mph impressive for a city scooter. Find one on the shelves of your local dealer for around £2000. If you were wondering where Yamaha are on this 125 scooter list, then it shouldn’t be a surprise they are towards the top. Yamaha scooters are consistently regarded as some of the best out there; reliable, economic and stylish. You get ABS as standard on this one too, amongst near enough every other feature that may be on your checklist such as liquid cooling, long-travel forks and large disc brakes (as expected on a premium scooter). Oh, and the price? £2999! Top of the list is the Honda PCX 125. Go to any city in Europe and chances are you will see 100 of these in a day – they are incredibly popular, and for good reason; reliable, good looking, and great to ride. Honda are clearly on to a winner here, and no doubt the PCX will be topping scooter charts for some time to come! Another premium scooter with premium features (ABS, LED lights, big tyres etc) – all for around £2900. 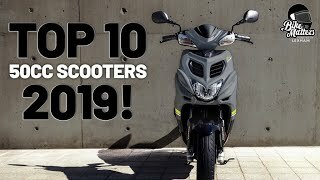 That concludes our top 10 125cc scooters! It’s very likely that this list will be updated, so keep an eye out to see what scooters drop off the list, and which scooters find their way on to the list as replacements! If you have a favourite scooter that you think deserves to make our list, let us know on social media or in the comments below.